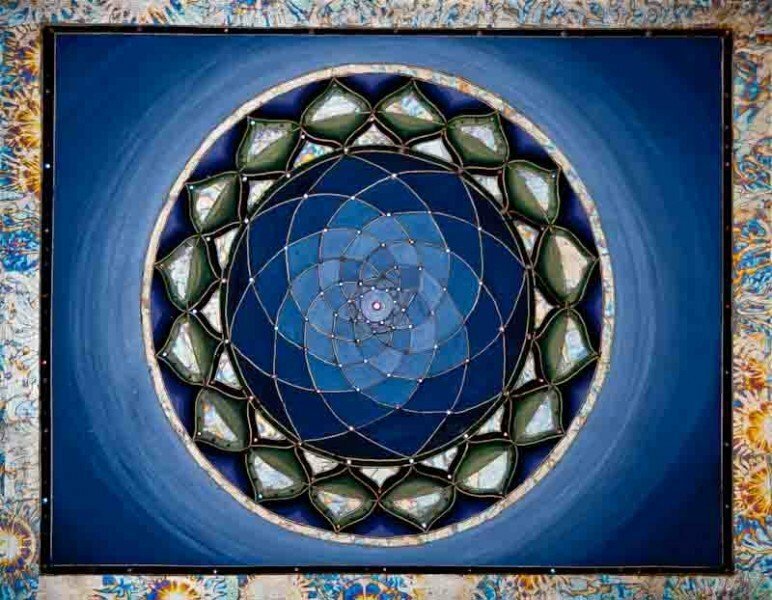 Blue Heaven | Artwork – Store – Tammi B. Ph.D.
Hand painted mandala 22" x 28" acrylic, mixed medium, gold leafing and Swarovski crystals. A mandala I created to feature in my private office. The intention while creating it was to be a conduit for healing, compassionate communication.